On Viswanathan Anand's strengths: He has got the experience of playing many matches against top class opponents like Anatoly Karpov, Vladimir Kramnik, Boris Gelfand and Veselin Topalov. Anand’s main strength is his preparation which has worked well against most opponents and his aggressive play as he has the ability to calculate the moves very well. 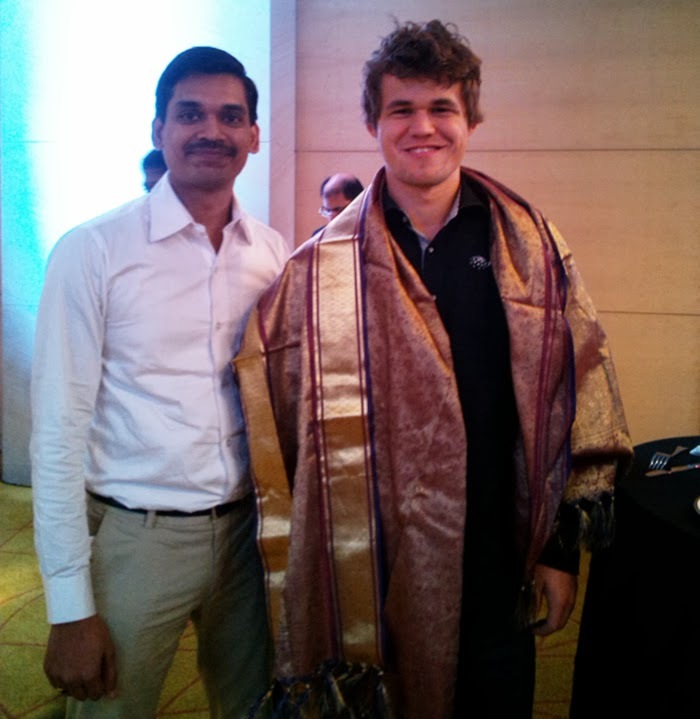 On Magnus Carlsen's strengths: Carlsen seems to have the mentality that there is too much opening theory and it is impossible to master all of that. So he relishes the challenge of getting his adversary to play unknown positions where his originality would come to the fore. The World No 1 has great fighting spirit and stamina and even in losing positions, he never gives up and tries some trick or other to get back on an even keel. Another key strength is his endgame where Carlsen tries to force a victory breaking down his opponents after putting them under relentless pressure until they make a blunder or cave in through mental fatigue. On the challenge presented to Viswanathan Anand by playing Carlsen as opposed to Kramnik and Gelfand: Against players of his generation like Kramnik and Gelfand, Anand could play the principled main line openings since they play similar in that regard, but it won’t be possible against Carlsen who is unpredictable and may play different sidelines each time. Typically at the top level, GMs tend to split the point when they reach a position of no-advantage but for Carlsen, that represents just the start and he would enjoy the prospect of a long battle. On who would win World Chess Championship 2013: Anand has not played very well in the last two years and slipped down the rating while Carlsen is on the way up (having broken Kasparov’s all-time high FIDE rating) and looks to be peaking at the right time. So, Anand would look to bring forth new ideas in opening to get into complicated positions and put pressure on Carlsen hence gaining an advantage while Carlsen would look to stretch the game and take him to new positions. The role of the seconds would be very important as they have to prepare for many sidelines too. I believe the player who is able to bring forth his strategy onto the board will ultimately triumph. On Anand being a role model for Indian kids: He is a very nice person and has a very good sense of humour. He is also very articulate in expressing his ideas. Anand is very encouraging and whenever Indians win a tournament, he used to call them up and congratulate them. That motivates the young players a lot. On his interaction with Anand in the past: When we were kids, we were inspired by his feats. 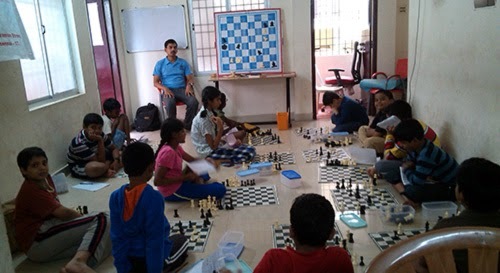 Anand spent a lot of time abroad but when he came to Chennai, he would host a dinner for the promising youngsters. Due to a paucity of good books and training at that time, it was “education time” for us to clarify our doubts and we drilled him with a number of questions–some idiotic ones as well but he patiently answered all of us. That helped us understand the thinking of a Grandmaster and improve our game. Initially we were all focused on results but Anand used to tell us, “Chess should be fun” and that we should enjoy ourselves. Later we found that to be very true.